Content marketing tactics are constantly evolving. Moreover, every brand is different and calls for different content marketing strategy; thus, it is imperative for digital marketers to determine what works well for their brand and what does not, so as to evolve their own digital marketing strategy. The New Year is knocking the door and it is high time for content marketers to think about their content marketing strategy for 2017. According to experts, content marketing in 2017 will no doubt flourish, but at the same time, it will become more challenging; thus, brands will need to be more creative with their content marketing strategy in the forthcoming year. In this post, we have compiled four indispensable content marketing trends that you may consider to raise the bar in your business in the coming year. By writing compelling content, you can naturally grab the attention of your audience. 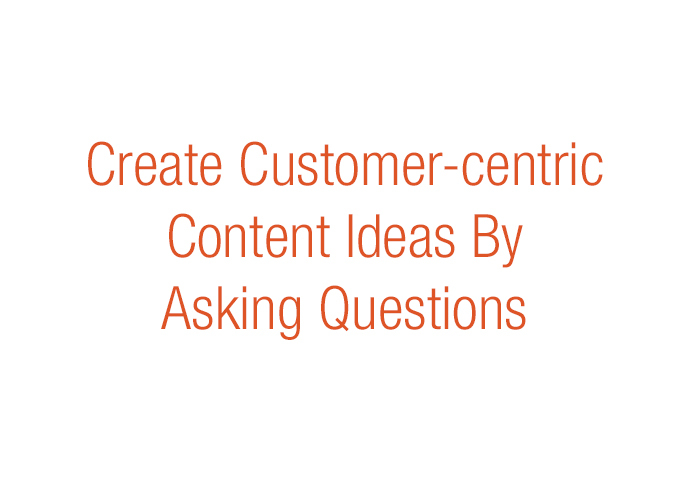 Thus, before creating content, you should try to understand the needs of your customers to find out the problems faced by them so that you can generate content accordingly to solve their specific problems. For example, you may directly take the opinion of your customers through online polls or discuss with your customer care team to understand what your customers generally ask about. This will help you create convincing content that strikes a chord with your audience. You may not be a specialist on the subject matter you are writing about. 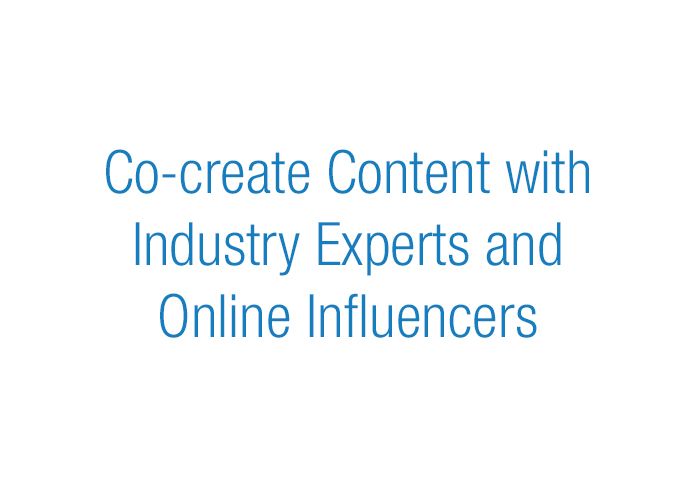 Therefore, it is advisable to partner with industry experts and influencers to co-create content. This is an effective way of promoting your content as it adds reliability and consistency to your piece. 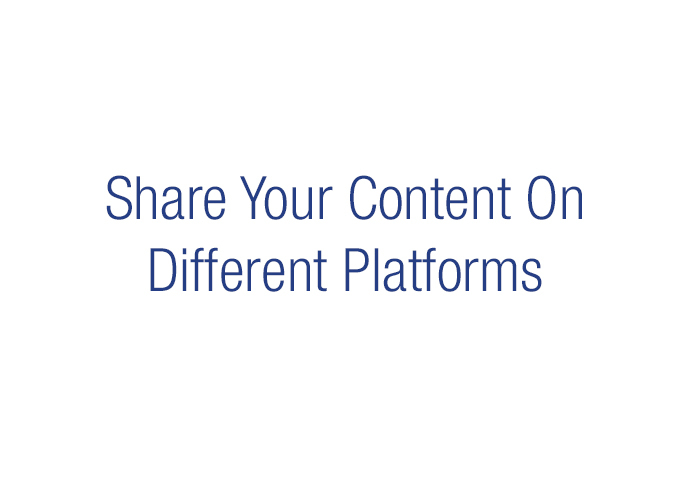 Besides this, when you involve influencers or industry experts in your marketing content, they are likely to share it with their online followers, thus, enabling your content to reach out to a wider audience. In the absence of a content distribution plan, even the most innovative and engaging content may stay undiscovered. Therefore, while creating your content marketing strategy, make sure you emphasise on your content distribution plan to generate fresh traffic. Posting your content only on your website or blog is not enough. You should also enhance the social media reach of your content, and involve online influencers to share your content on their networks. The best way is to review the content distribution plan of your competitors and industry players to find out what works for you. Infographics are attractive visuals used for simplifying complex data in a convincing manner so as to offer greater precision. In 2017, you can use Infographics as a communication tool, recruiting tool or leads generator by demonstrating the positive facets of your business, such as your sales trends over a specific period or by displaying your survey data and other engaging information. 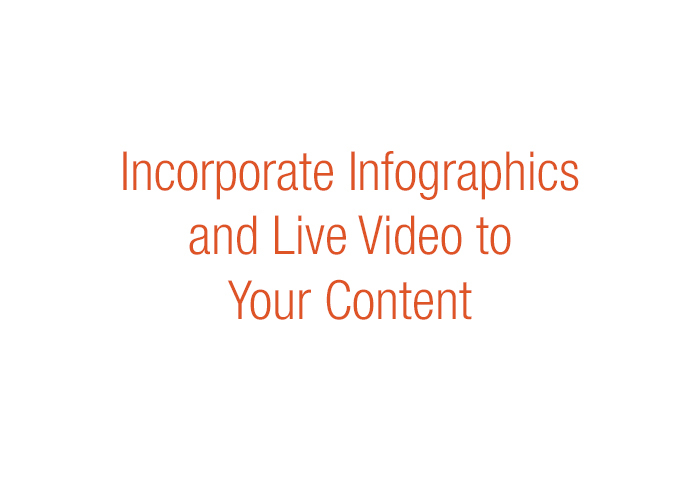 By combining Infographics with well-written text, you can easily penetrate into the minds of your audiences. Video marketing too will continue to be a powerful tool for communicating your brand story in 2017. Live video will undergo massive growth in the coming year as Twitter, Facebook Live, YouTube Live, Instagram Stories and Snapchat are embracing live video with open arms. Video Marketing not only brings the highest ROI but also helps brands by illustrating their value proposition and strengthening relationships with their existing and prospective customers. Thus, marketers should keep up with this trend in 2017 to notice marked improvements in their content marketing strategy.